BAGAN SERAI (June 30): MK Land Holdings Bhd is planning to develop a new industrial area at Beriah Valley, Alor Pongsu, near here, Bernama reported today. 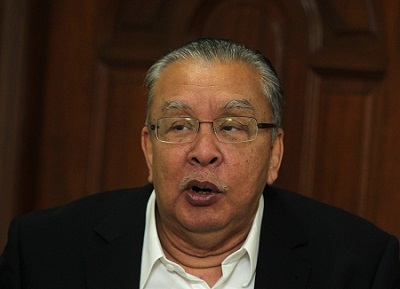 Founder of the company Tan Sri Mustapha Kamal Abu Bakar (pictured) said that with such a move, the company can expand operations to a new activity and reduce its dependence on the Bukit Merah Laketown Resort. MK Land is said to have 1,214ha of landbank in Beriah Valley and the upcoming industrial area will create jobs for people around the area. "A lot of young people from here work in Penang. When the industrial area is opened, it will enable them to work here," Mustapha Kamal said. He was speaking to the media after a “buka puasa” event and the presentation of contributions to 29 disabled children at the Bukit Merah Laketown Resort surau yesterday. He also said that the opening of the Alor Pongsu toll plaza recently has slashed the travel time from Bukit Merah to Penang via the Second Bridge to less than 30 minutes. Meanwhile, Mustapha Kamal also revealed that three foreign companies are interested in investing in Bukit Merah Laketown Resort and the Belum Rainforest Resort in Gerik before year-end. He added that one of the companies wanted to purchase 40ha of land in the area. Another company from Singapore planned to rent land to set up an agricultural project. The third company is based in Indonesia.